﻿ Guest Editorial: Which road will radiology take? Guest Editorial: Which road will radiology take? Although I have had the pleasure of spending most of my professional career in academic practice, I have had two stints of private practice and now work with a national radiology group of about 100 radiologists spread throughout the U.S. I have been lucky enough to practice radiology for an entire generation (Some would say I just missed meeting Roentgen! ), and I can honestly lay claim to having witnessed the“golden age of radiology.” Most of today’s high-end imaging has been developed since I began practicing, and our field’s ability to diagnose illnesses has far exceeded medicine’s capacity to treat them. On the other hand, I can also lay claim to experiencing firsthand virtually every “crisis” that has threatened to disrupt our great profession during the past few decades: 24/7 coverage, radiation exposure controversies, turf battles with cardiology, turf battles with orthopedics, turf battles with—well, you get the idea. Now we face our latest battle—to come to grips with new paradigms in healthcare delivery and payment. These paradigm shifts from longstanding fee-for-service models to value-based models will expect all specialists—not just us radiologists—to do more work for less money, to measure quality of care and patient outcomes, to become more incorporated into the health care team, to work more closely with patients, and to prove their worth to the system. But I fear that this current challenge is different. The fact is, medical imaging is being targeted by payers because of its expense. A study by Inglehart et al in 2009 showed that the cost of Medicare imaging had increased more rapidly than any other Medicare spending category.1 Studies like this are quite disturbing to those footing the bill (personal, private or government), and the powers that be (read: payers) are more determined than ever to bring about significant change. I think this current environment represents a tremendous opportunity for radiologists to become imaging consultants, and to become the “doctors’ doctor,” if you will — which is what we were when I was still a resident. We should welcome this chance to partner with our consulting referring colleagues on the oversight and implementation of clinical support systems, to counsel them on appropriate imaging utilization, and to instruct our referring doctors on their ordering habits, thus delivering higher-quality patient care at lower costs. If we make ourselves available for real-time consultation and save enterprises’ money by doing “indicated” studies, there should be a mechanism for usto share in the overall savings resulting from these endeavors. It may potentially make all the difference. Inglehart JK. Health insurers and medical-imaging policy—A work in progress. New Engl J Med. 2009;360: 1030-1037. Guest Editorial: Which road will radiology take?. Appl Radiol. 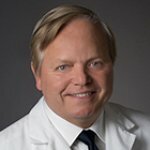 Dr. Pope is vice chairman and consulting radiologist, Radisphere National Radiology Group, Westport, CT. Dr. Pope is also a member of the editorial board of Applied Radiology and editor of the journal’s Radiological Case department.